The Irish Green Building Council has been awarded Established level status within the World Green Building Council (World GBC). IGBC now joins the ranks of the leading high profile GBCs globally, including US GBC, UK GBC, DGNB, Canadian and Australian GBCs. 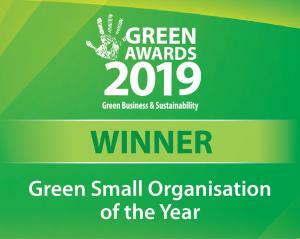 This is in recognition of the work IGBC has carried out in establishing a strong influential council in Ireland which is working with government and industry partners to transform Irish construction practice. IGBC was launched almost exactly five years ago in very difficult circumstances for the Irish Construction sector. It has over 90 corporate members from right across the construction and property sector. IGBC is working on key projects including Build Upon which is collaborating with the Department of Climate Change, Communications and Natural resources to develop the long term national renovation strategy to decarbonise the building stock. IGBC also recently launched a certification system for quality and sustainable housing called Home Performance Index. Pat Barry Director of the Irish Green Building Council “ This is recognition at a Global level of the work IGBC has been doing in Ireland. We are now well positioned to try and ensure that our construction recovery will be green, and this is thanks to our sponsors and members who have had the vision to support and work with us”.